For many years already Valentine’s Day became our “home” holiday. What I mean is that we are not going to the restaurant – instead, we attempt to create the best possible experience at home. This past Valentine’s Day our attempt was quite successful. First, there was a Champagne. Ahh, what so special, say you, a sparkling wine? 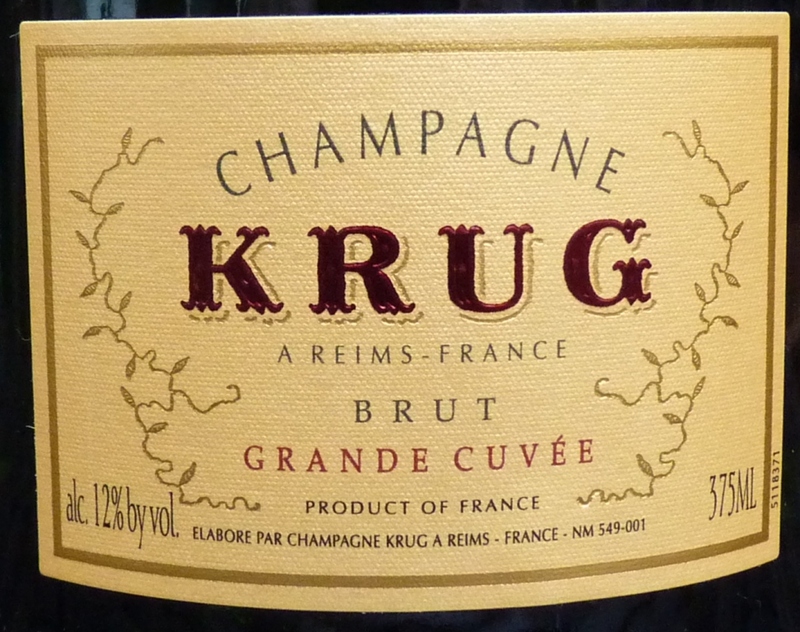 Well, we don’t drink Krug every day – Krug is our “special” sparkling wine, as both me and my wife fell in love with it 3 years ago, and nothing beat that ever since. It was Krug Grand Cuvee Brut NV. Beautiful effervescent nose, with only a hint, a whiff of toasted apple, yeast and fresh bread – the same lightness on the palate, with perfect balance of fruit and acidity. Yes, I know, I fail to give you a critic-worthy description with lots of different elements of soil, the fruit and more – so you will need to take my word for it – this is The Champagne. Once you try Krug…well, you will continue to appreciate many other sparkling wines, but Krug will be the one you will crave. And if you care for my rating, I will put Drinkability at 9+. Believe it or not, but Krug was only the beginning of amazing wine experience. The next wine blew me away in many senses. First, it was a realization of a dream. 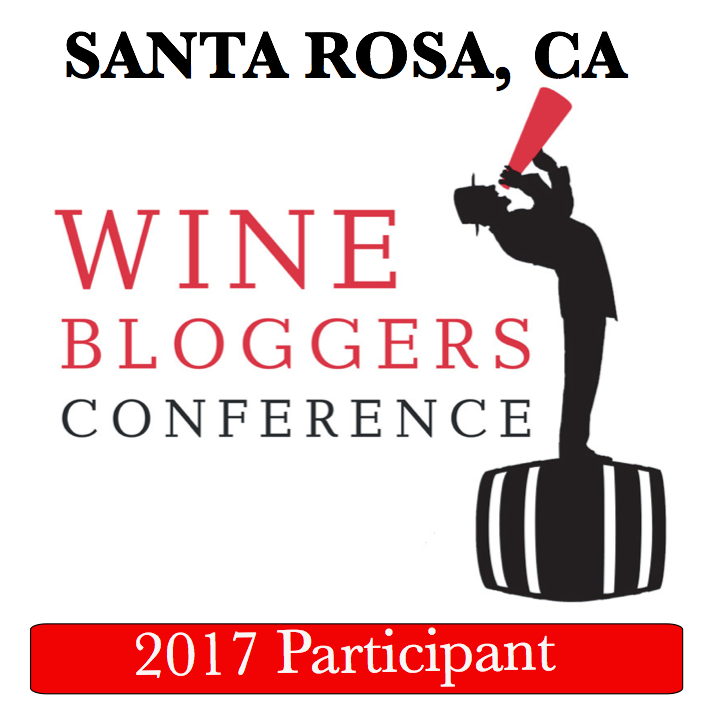 For the long time, I wanted to try Carlisle Zinfandel – consistently high ratings in Wine Spectator, great reviews – many factors contributed into making Carlisle Zinfandel an object of desire. I signed up for the waiting list for the mailing list, I asked around – all to no avail. Then a few month ago I saw a bottle on the Benchmark Wine Company’s web site, priced at about $30 – voila, I got the bottle. Now I just needed special occasion. Special occasions are easy, right? 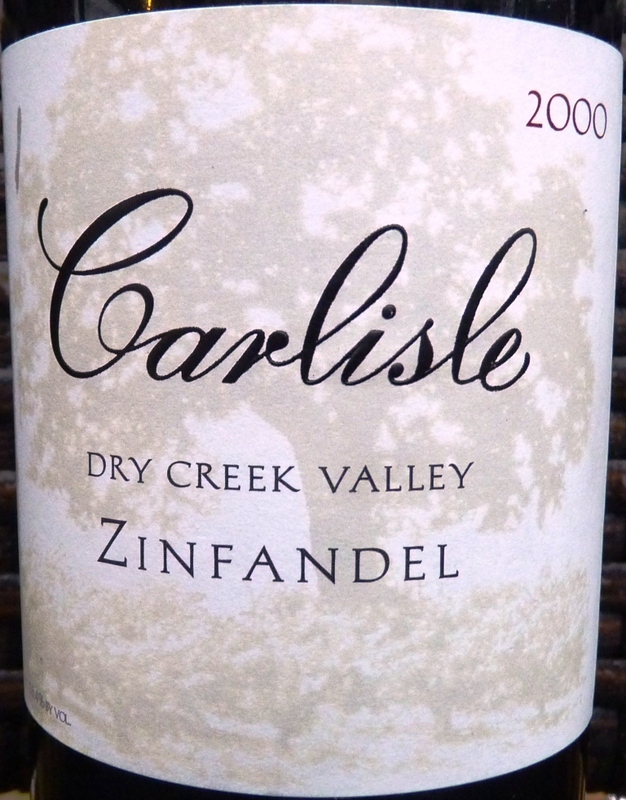 Valentine’s Day is special enough for us, so the bottle of 2000 Carlisle Zinfandel Dry Creek Valley was opened. The description? One word – “wow”. Beautiful nose of red fruit and smoke (raspberries and blueberries plus a hint of smokiness, to be more precise). Perfect balance of fruit, tannins and acidity on the palate – more playful fruit, eucalyptus, cedar box, spices, tobacco – all components are playing together to deliver an amazing experience. Here is one interesting note for you. 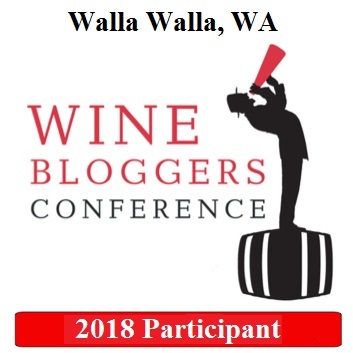 Carlisle web site has a table which is called Drinkability Chart, which lists all the different wines from the different vintages and ideal drinking window for those wines. According to that chart, optimal drinking window for this particular Zinfandel was 2002 – 2005. Well, what can I tell you? If you got a bottle of Carlisle which you think is undrinkable – send it my way, and I will thank you profusely. And just to show you how much I loved this wine, I have to tell you that this is the first time I put Drinkability of wine at 10-! Here is the link to my ratings page – you can judge for yourself. As you can see, the wines were great – but there was also food. 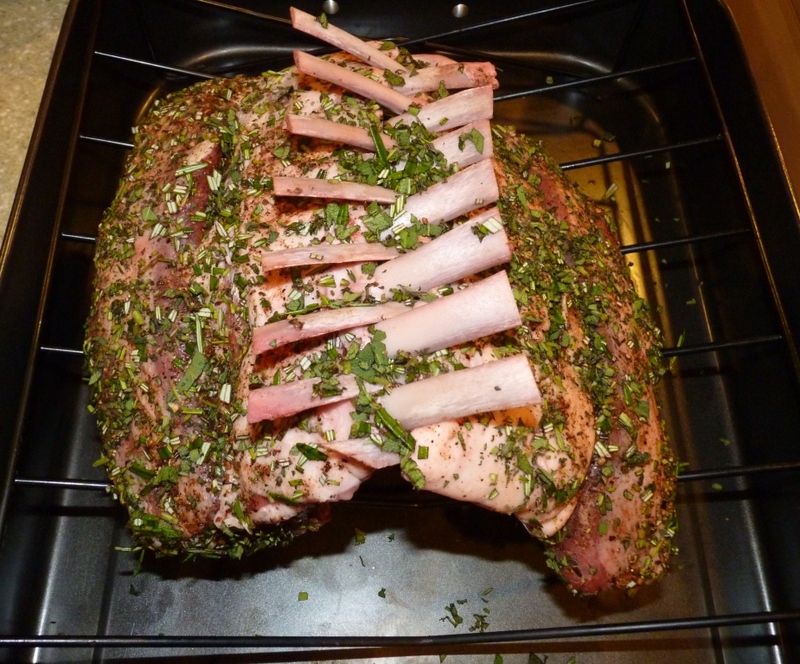 This year we decided to do a Rack of Lamb. 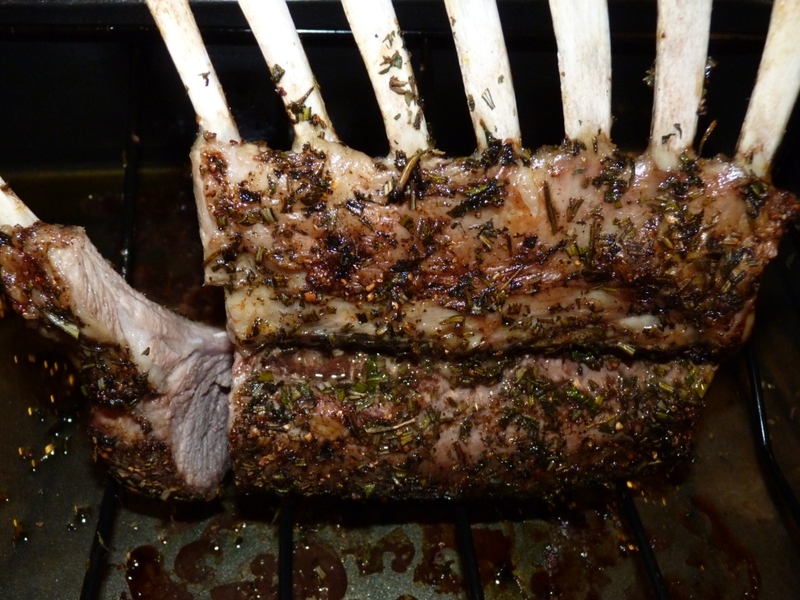 Rack of Lamb is a dish which we typically enjoy in the restaurants (especially in French Canada), but it is not that difficult to make at home (once you overcome the sticker shock of a good rack of lamb). Yes, I know, I should work on presentation – you don’t have to tell me that. 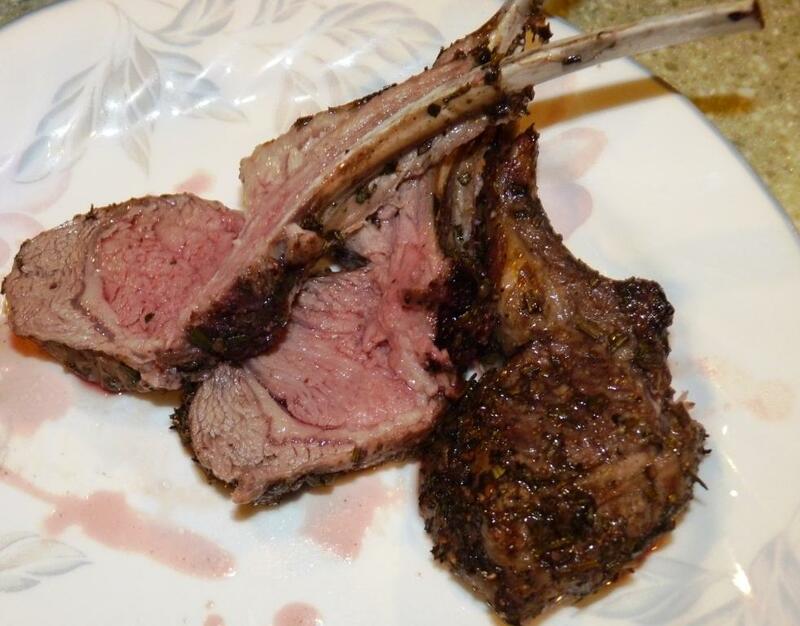 But the taste was great, and lamb also paired quite well with the Carlisle Zinfandel – to double the pleasure! That’s all, folks, for our wonderful Valentine’s Day food and wine experience. It will be hard to beat it next year, so I can only wish tat the next year will be not any worse than this year.